Join the Skid Kings Vintage Bicycle Club this Sunday, October 15th for a nice fall bike ride down the Snoqualmie Vally Trail from Snoqualmie Falls to Carnation. 11 easy miles with shuttle service back. Or ride, it is a very gentle "hill" back to the falls. You will see more working vintage bikes from the '40s thru '80s than you have ever seen! 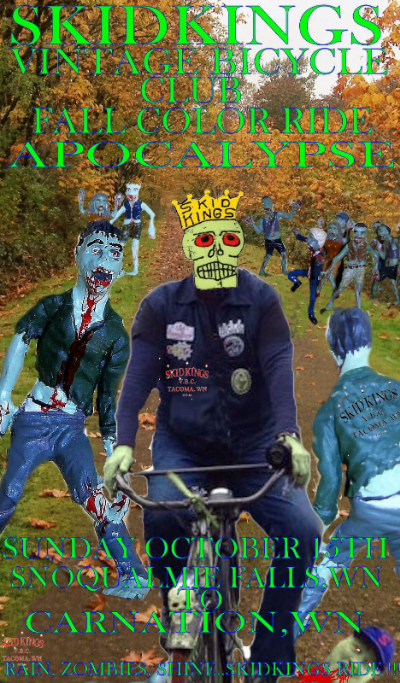 The Skid Kings are from Tacoma but welcome anyone on their rides. To shuttle or carpool please call us. Bicycle helmet laws decrease the number of people who bike and provide no discernible net public health benefit. Unfortunately, here in Seattle and King County, Title 9 of the Board of Health Code bans riding a bicycle without a helmet. The King County helmet law was adopted primarily based on a 1989 study that is now discredited by the Centers for Disease Control and Prevention and the National Highway Traffic Safety Administration. Given that the primary reason for the law's adoption no longer stands, it's time to repeal the King County law and again legalize riding a bike. To repeal the helmet law, the Board must hold a public hearing on the helmet law as part of a regularly scheduled meeting, and provide 14-day public notice of the hearing. Following the hearing, the Board can take action immediately. We urge Rod Dembowski (Board chair), Patty Hayes (Director of Public Health), and the entire Board to repeal Title 9 and legalize riding a bicycle. The current influx of Bike Share companies like Spin, Ofo and LimeBike make bikes readily available to all. They are very affordable and convenient. They make getting around the city faster, safer and more fun. It puts the police in an awkward position if they give anyone a helmet ticket now, because no one is using helmets with bike share. We were very disappointed when Pronto went under. The overwhelming public health benefit of increased physical activity by our citizens far outweighs the very minor risk of a head injury. Regardless of if you think riding is safe or everyone should wear a helmet, the fact it it isn't practical for bike share to supply them. It would put them out of business. In our opinion bike share is too important to loose. 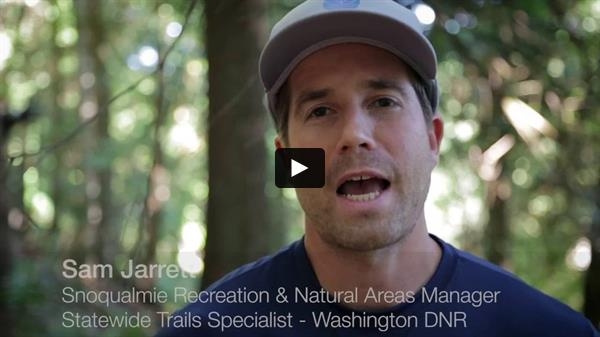 Watch the video below to find out what the Evergreen Mountain Bike Alliance has been up to at Tiger Mountain. Stop by the shop before you so and have us check your bike out and the pressure in your shocks. Suspenion air pressure should be checked monthly. Fall is the perfect weather for mountain biking! 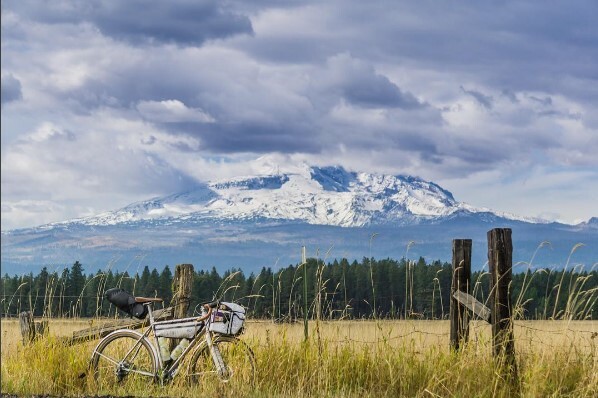 It doesn't matter what you call it, bicycle adventure is growing in popularity. Check the link below for inspirational stories and photographs. 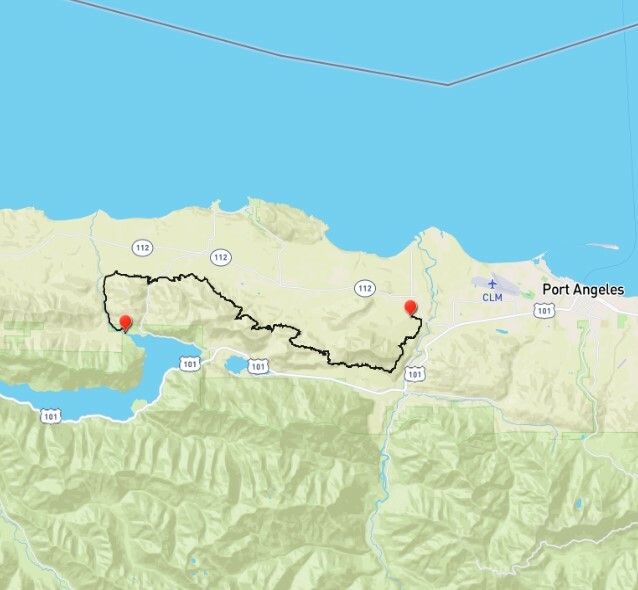 Visit us at the shop for stories and to plan your next ride on our giant topographic wall map of the state of Washington. Gregg and Aaron have lot of stories and routes to share. We can also help you outfit your bike for adventure. Here is an interesting story on Washington's Olympic Discovery Trail and how it and others got built. It is a perfect place to go on a bicycle adventure! This collection of vintage bikes and their people will make you laugh and may bring back many fond memories of the good old days. Share your old pictues with us and we will publish them in this e-newsletter. 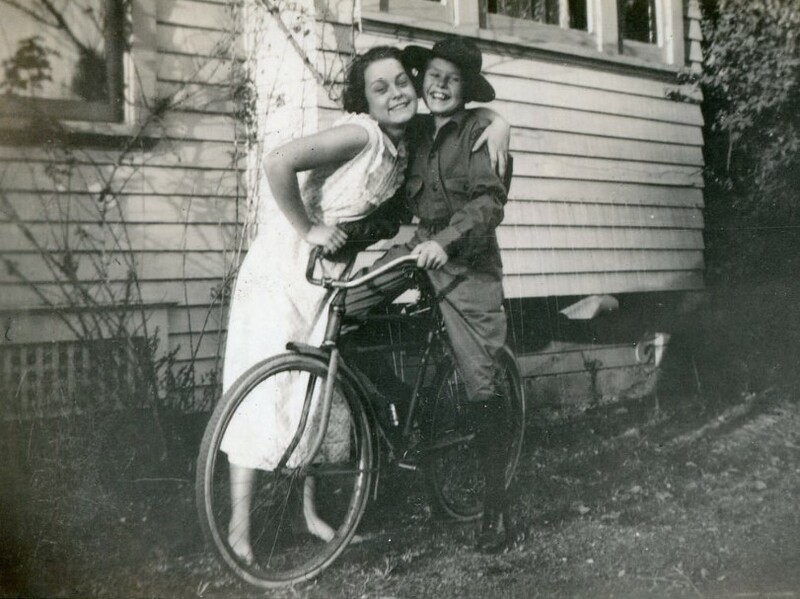 People love vintage bikes and we are experts. 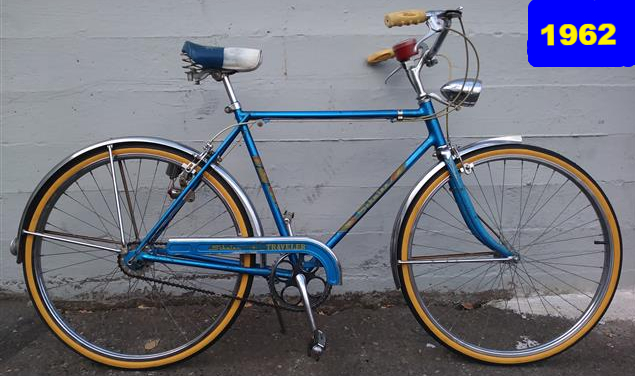 We love old Schwinn's & Raleighs from the '50s, '60s and '70s. 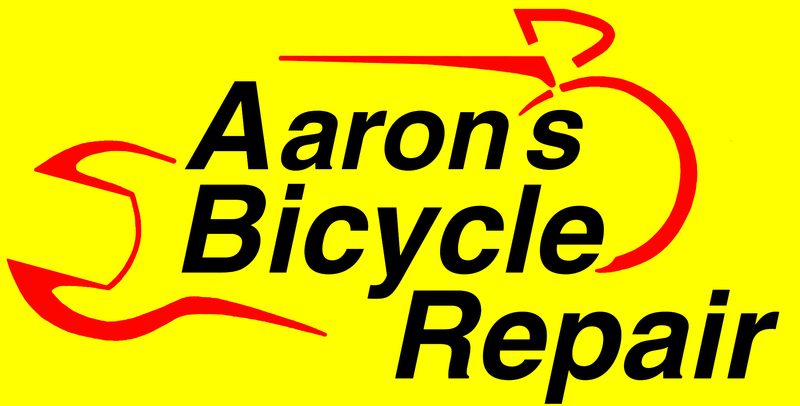 We can help you restore your bike as far as you want to take it. Check out the 1962 Schwinn we fixed up for Roger. He purchased it when he was a kid and still owns it! National Bicycle Dealer's Association! Thank you for your support and the chance for us to serve you as best we know how. 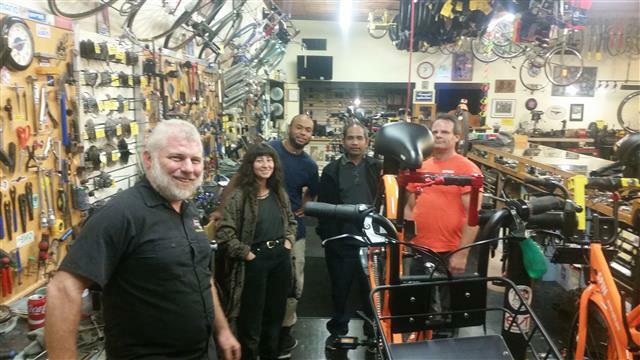 We really love what we do and we love bicycles. 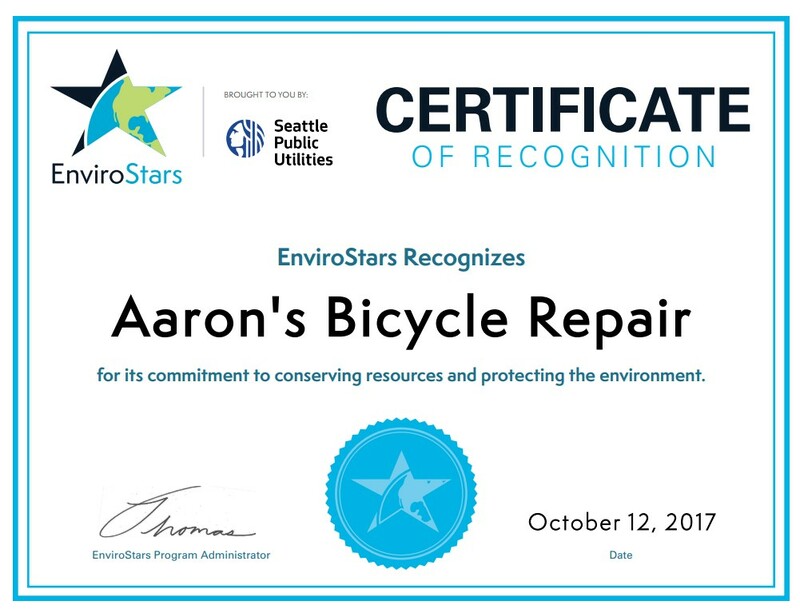 We have been recognized again by Envirostars because we care about the Earth. For 20+ years now we have been protecting the environment with our sustainable business practices. We recycled over 90% of our waste stream including old tires and tubes. It literally takes us a month to fill up a 5 gallon bucket of trash that we cannot recycle. Looking for fun weekly bike events in Seattle? Subscribe to a weekly listing of bicycle events. 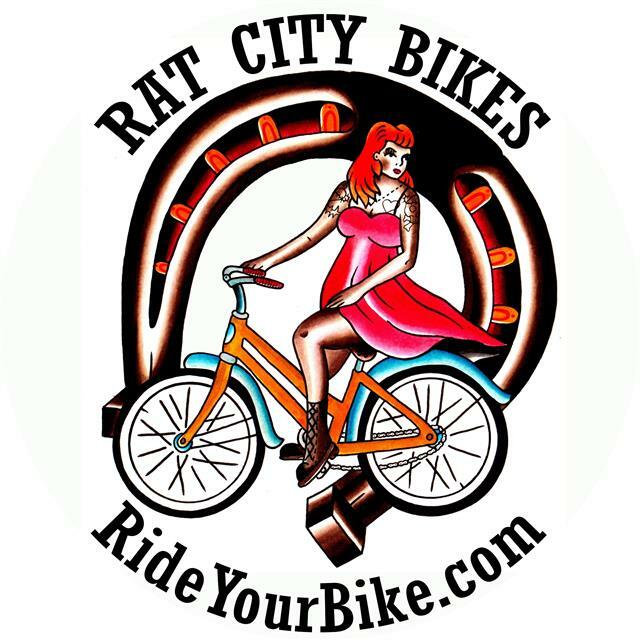 Send an email to brock@bikehappycascadia.com and ask to be added to the Bike Happy list.